Eofauna Scientific Research models to buy on-line from Everything Dinosaur. A range of hand-painted, realistic, museum quality replicas of prehistoric animals and Eofauna dinosaur scale models. All named prehistoric animal replicas and models in the Eofauna Scientific Research models collection are supplied with their very own fact sheet so you can read all about dinosaurs, marine reptiles and other creatures from the past. These prehistoric animal models and Eofauna dinosaurs are great to collect and ideal for helping to develop creative, imaginative play. A wonderful collection of replicas including the Eofauna Scientific Research Steppe Mammoth and the Eofauna Scientific Research Straight-tusked elephant. Customers who visited these pages to view these figures and the Eofauna dinosaurs also checked out: CollectA Deluxe Prehistoric Life to see the rest of our model range. Eofauna Scientific Research Models are museum quality replicas. Buy Eofauna dinosaur scale models and Eofauna prehistoric animal replicas on-line from Everything Dinosaur. A range of hand-painted, realistic, scale models of prehistoric animals and dinosaurs including many 1:40 scale dinosaur models. All named prehistoric animal replicas and models in the Eofauna Scientific Research models series are supplied with their very own Eofauna data card as well as an Everything Dinosaur fact sheet so you can read all about dinosaurs, marine reptiles and other creatures from the past. These Eofauna Scientific Research models and prehistoric animal figures are great to collect and ideal for helping to develop creative, imaginative play. Customers who visited these pages to view the Eofauna dinosaurs, also checked out: CollectA Prehistoric Life to see the rest of our model range. 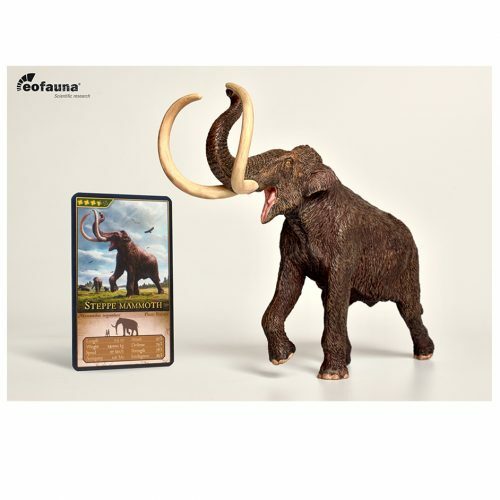 As well as models such as the Eofauna Scientific Research Steppe Mammoth and Eofauna dinosaur scale models visit: Safari Ltd. Wild Safari Prehistoric World for more fabulous dinosaur and prehistoric animal replicas.